Barack and Michelle Obama are on board. The general feeling in the United States is that couples therapy is for couples with problems, when in reality, prevention is 3x more effective than intervention. This means that by the time couples “need” help, it’s often too late. In fact, in our research, we found that couples wait an average of six years before seeking any kind of help for relationship problems. And keep in mind, half of marriages that end in divorce do so within the first seven years. It’s never too early to work on your relationship. All couples can benefit from working with a therapist, especially one trained in the Gottman Method, regardless of relationship status or satisfaction. It’s especially helpful during life transitions, like before getting married or before having a baby or before retirement. So when public figures use their platform and influence to break down the stigma of couples therapy, it becomes a little more accepted in our culture. These couples should be celebrated. Jay-Z and Beyonce’s marriage has been well documented in the national media. In an interview with David Letterman on My Next Guest Needs No Introduction, Jay Z opened up about his personal therapy journey. For a lot of us, we don’t have, especially where I grew up, and men in general, we don’t have emotional cues from when we’re young. Our emotional cues: Be a man. Stand up. Don’t cry…. I want to cry. I want to be open. I want to have the emotional tools that it takes to keep my family together. Jay-Z recognizes that emotional tools, like the ones we teach in the Gottman Method, are key to successful interpersonal relationships. He continued. We did the hard work of going to therapy… we really put in the work, for years… we are in a better place today. We’re still working and communicating and growing. I’m proud of the father and the husband that I am today because of all the work that was done. There’s no denying it. Love relationships are hard work. They require constant attention and investment. Just like a personal trainer or dietician, a couples therapist can provide a personalized action plan for success. In a separate interview with Van Jones, Jay-Z joked that, “as scared as black folks are of the cops, we’re even more scared of therapists.” The stigma of couples therapy is especially strong in the black community. As a role model to so many young people of color, we admire Jay-Z’s transparency and willingness to be vulnerable—something that’s not easy to do. Empathy is mirroring your partner’s feelings in a way that lets them know that their feelings are understood and shared. It’s the key to emotional attunement with your partner. As Bell can attest, empathy takes work but you can master it with practice. It is not easy to work around another human being, but if you commit to it, you can pretty much permanently respect that person… then it doesn’t really matter if you disagree because you still respect that person. Contempt, the worst of the Four Horsemen of the Apocalypse, will kill a relationship if left unchecked. The Four Horsemen are common conflict behaviors for couples, but it’s critical that you recognize them and reign them in. Bell gets this. It’s all about contempt. Never roll your eyes at someone… I’m telling you—I disagree with him on almost everything, but I have intense respect for his critical thinking skills and the fact that we were raised differently. I always see his point. I do not and will not ever have contempt for him. A therapist can help you replace the Four Horsemen, especially contempt, with more effective communication strategies. In advance of her memoir Becoming, Michelle Obama opened up about what it’s like to be married to the president. 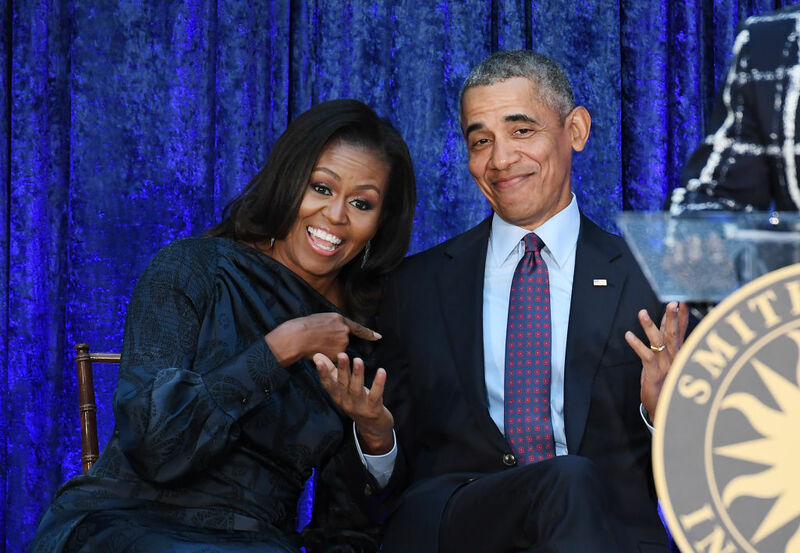 Speaking with Oprah Winfrey, the former First Lady revealed that she and Barack went to marriage counseling after their two daughters were born. I share this because I know that people look to me and Barack as the ideal relationship. I know there’s #RelationshipGoals out there. But whoa, people, slow down—marriage is hard! Everyone can benefit from working on their relationship with a therapist—even the Obamas. In a separate interview with Good Morning America’s Robin Roberts, Michelle addressed the misconception that if you struggle or argue with your partner, there’s something wrong. I know too many young couples who struggle and think somehow, there’s something wrong with them. I want them to know that Michelle and Barack Obama—who have a phenomenal marriage and who love each other—we work on our marriage and we get help with our marriage when we need it. The reality is that relationship conflict is healthy because it leads to greater understanding. If you can approach it from a position of respect and curiosity, you will grow from it. Relationships are hard enough without the pressure of being in the public eye. Celebrities certainly have their unique relationship challenges, but at the end of the day, they’re really not that different than us. As John and Julie Gottman like to say, we’re all in the same soup.